Home buying can be an exciting but also overwhelming experience. 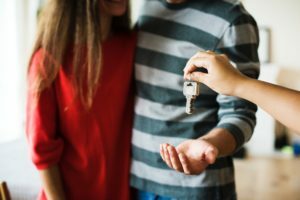 Whether you’re a first-time homebuyer, or just looking for a replacement home, you’ve probably started with a wish list of what you know you want in your new home. However, that must-have list might be keeping you from finding your dream home. Here are five everyday must-haves that you should consider easing up on in your search for your new home. Being too specific in your location desires can also hurt your search for a new home. Many homebuyers choose a central location like school or work and look in the area surrounding it, with a radius based on commute time. If this is your process, consider adding 20% to your search area, or consider creating multiple searches so that you don’t accidentally rule out great options before you even get to see them. Limiting your search by square footage is one way to make sure you have enough house to satisfy your needs. However, there is a difference between living area (usually the square footage above ground), and total square footage (which includes the basement or below grade space), and many search apps don’t differentiate between them. If you are already set on a new house, it is probably with good reason. Older houses require a lot of upkeep and repairs. Homes that were built after 2010 need fewer major improvements and tend to be more energy efficient. However, many older homes on the market have been cared for and upgraded over the years and could make a great new home for you. Don’t discount them based only on their age. If your must-have is a fully finished basement, that’s understandable. The idea of having a dry, comfy place to relax, for the kids to play, or for a home office, without having put time and money into it once you move in is a tempting one. However, you are limiting your search pool considerably if you automatically strike any house without a finished basement. If you have your heart set on a specific style of house, it may be tempting to disqualify everything else. If you are working with a real estate agent, they can limit your search to just the characteristics you want or that you don’t want. This entry was posted on Friday, October 12th, 2018	at 10:50 am	and is filed under Residential Sales	. You can follow any responses to this entry through the RSS 2.0	feed. Both comments and pings are currently closed.